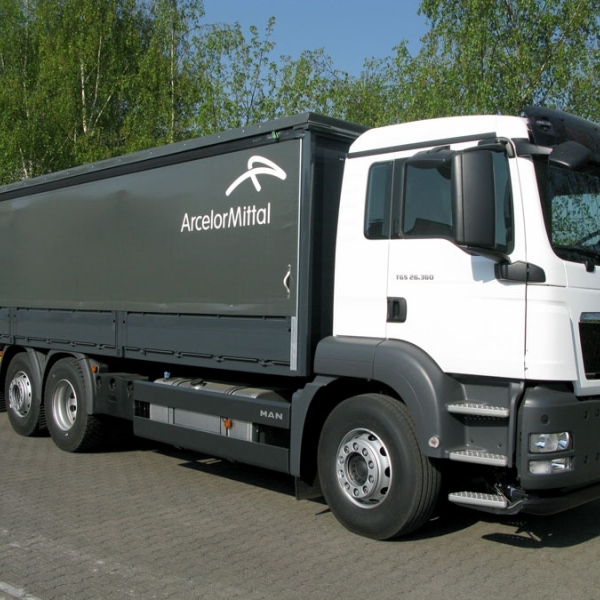 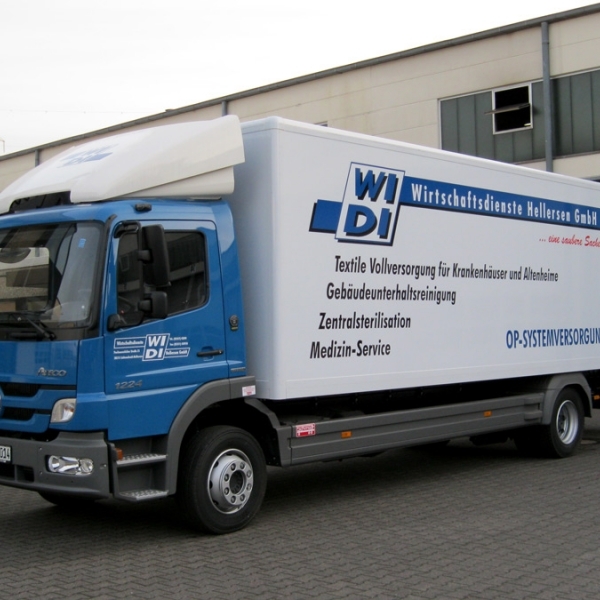 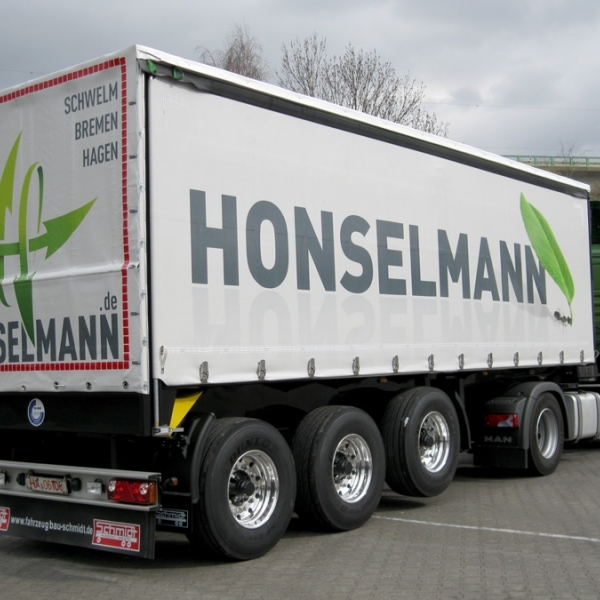 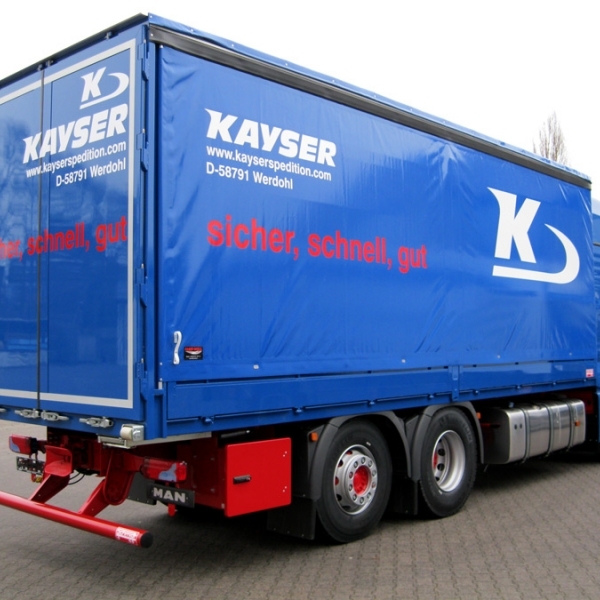 2 to 12-wheel semi-trailer with and without coil-well from 18,000 kg to 78,000 kg gross vehicle weight rating (GVWR). 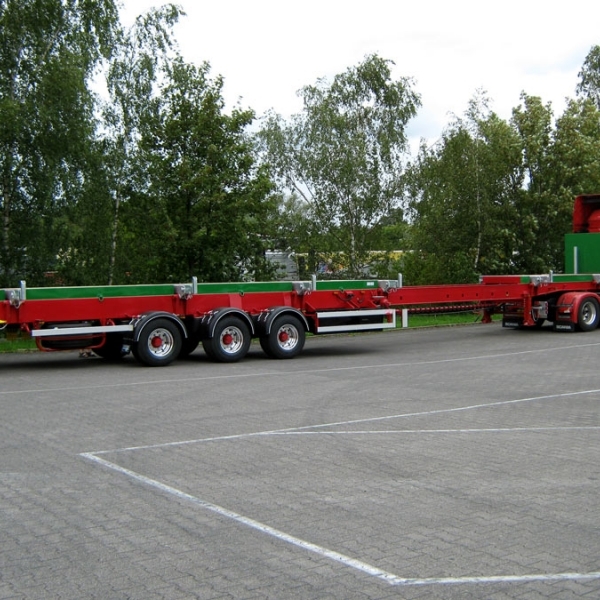 2 to 8-wheel jumbo-semi-trailer with and without coil-well. 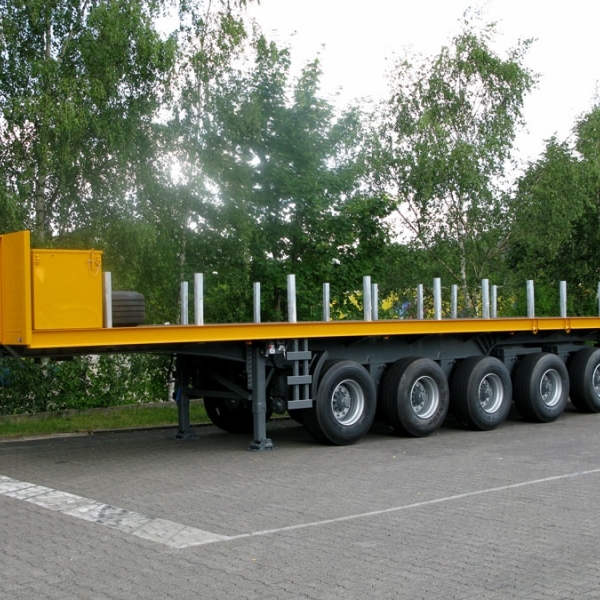 Customized semi-trailer, extendable from 13,600 mm - 27,100 mm, with 2 mechanically steered axles or up to 3 hydraulically steered axles. 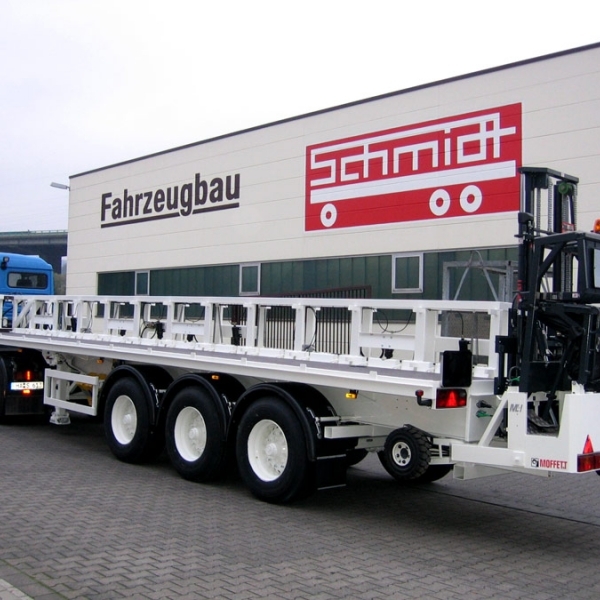 Suitable for the transport of oversize iron bars and sheet-metal. 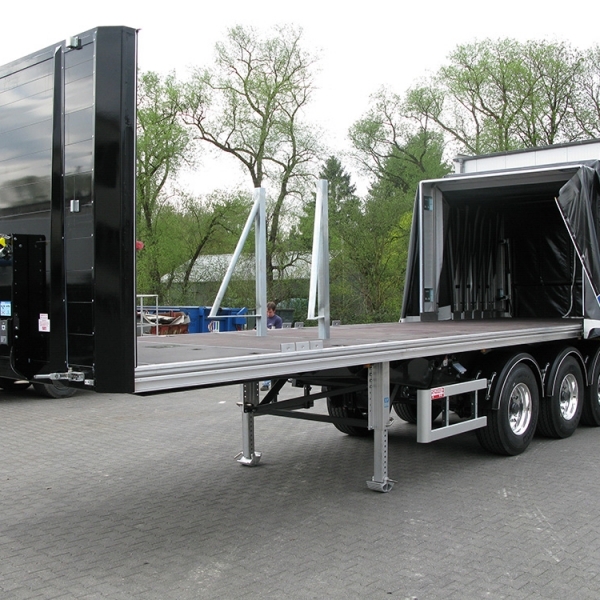 Also available with canopy frame. 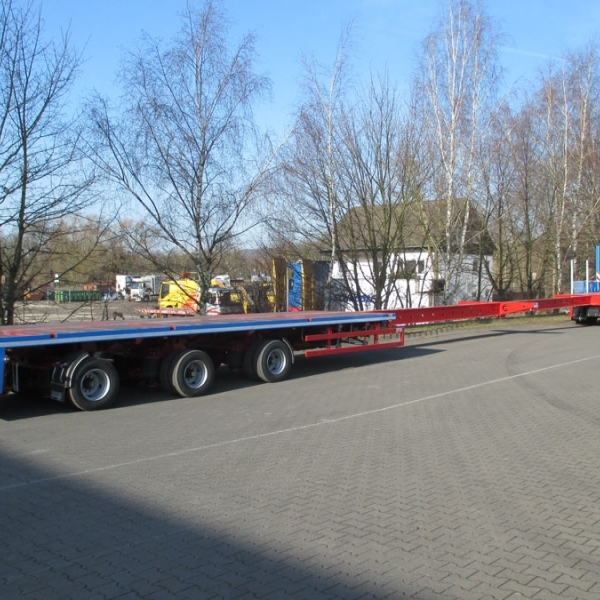 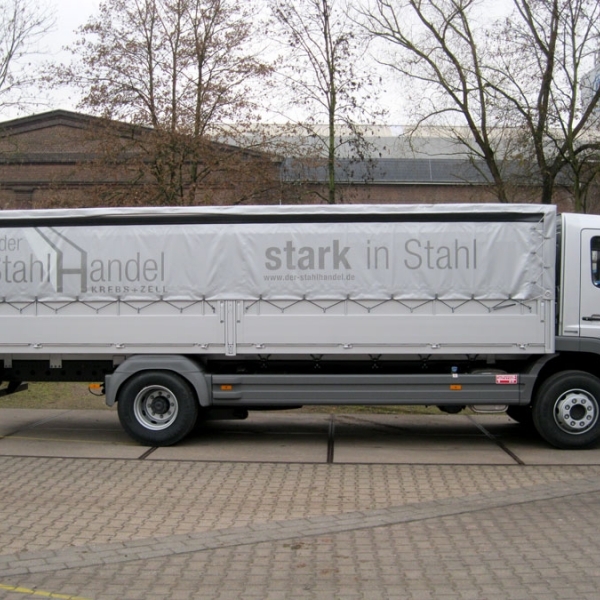 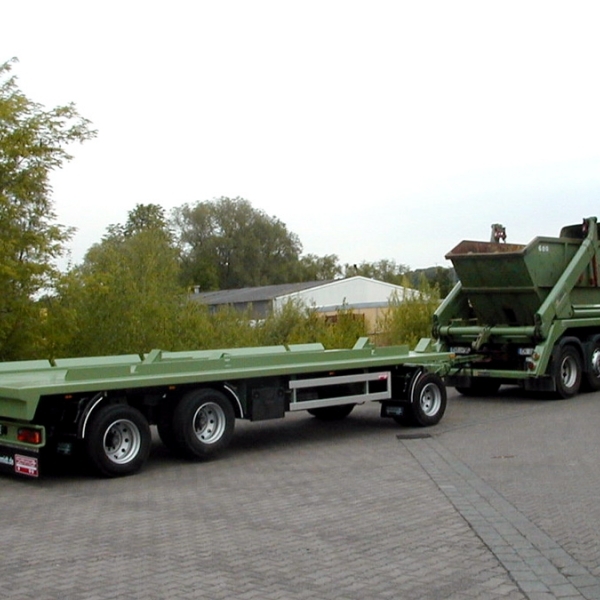 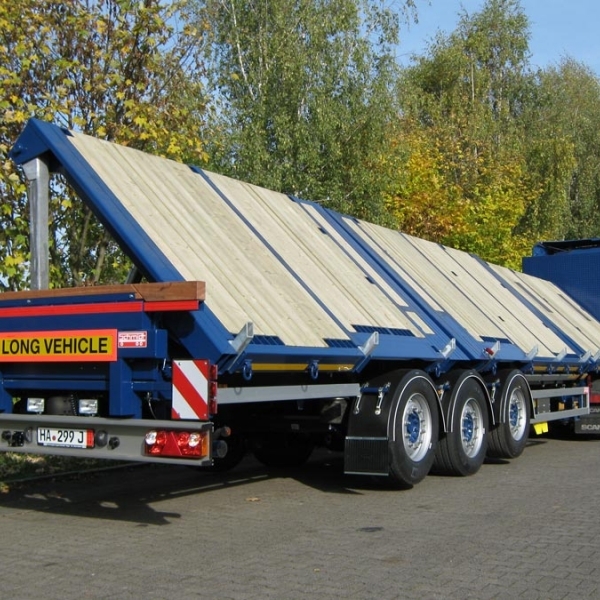 Inclined flat-bed with a length of 13,600 mm for the transport of sheet-metal. 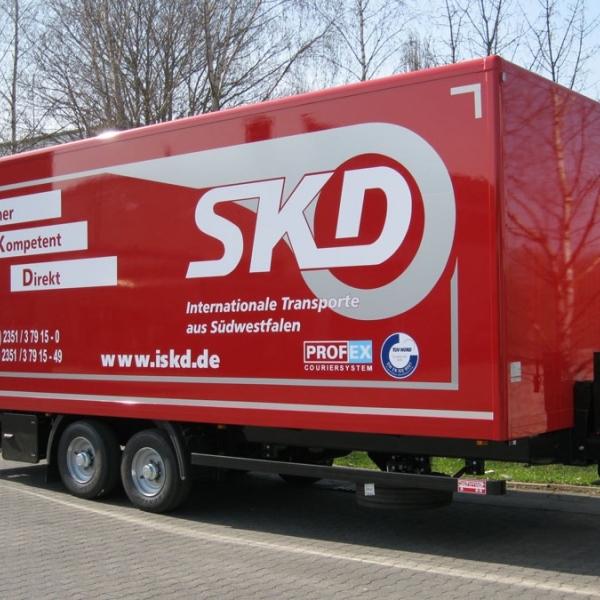 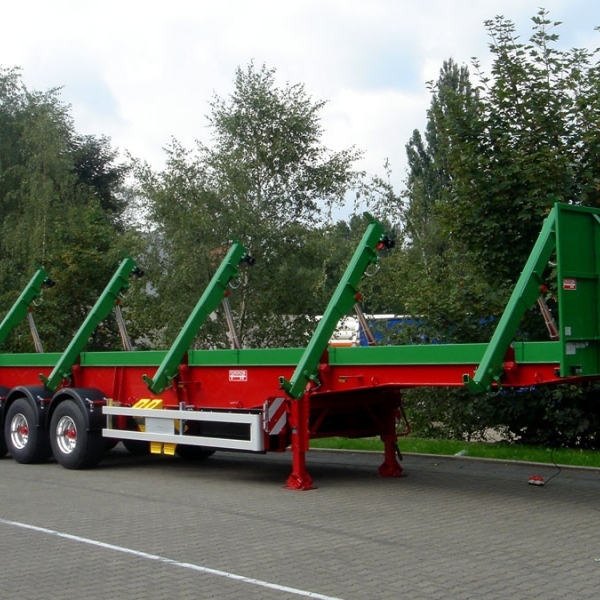 This trailer is also available as telescopic to a length of 19,600 mm. 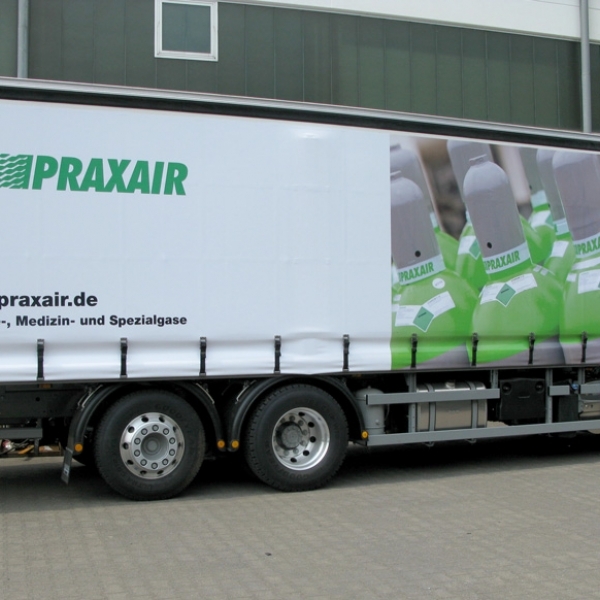 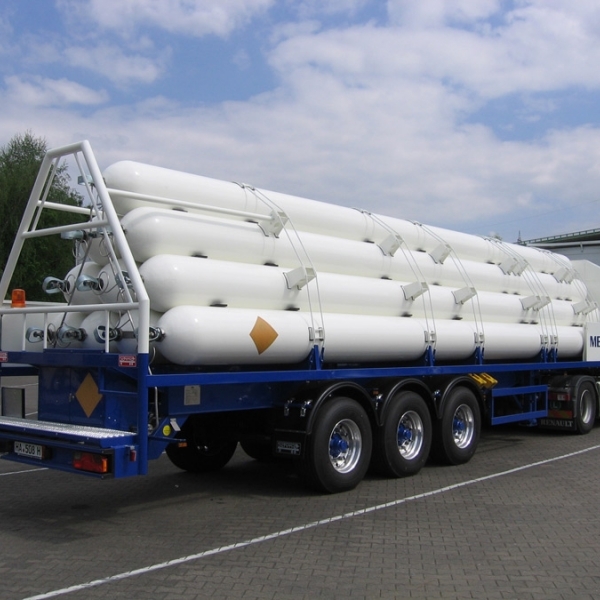 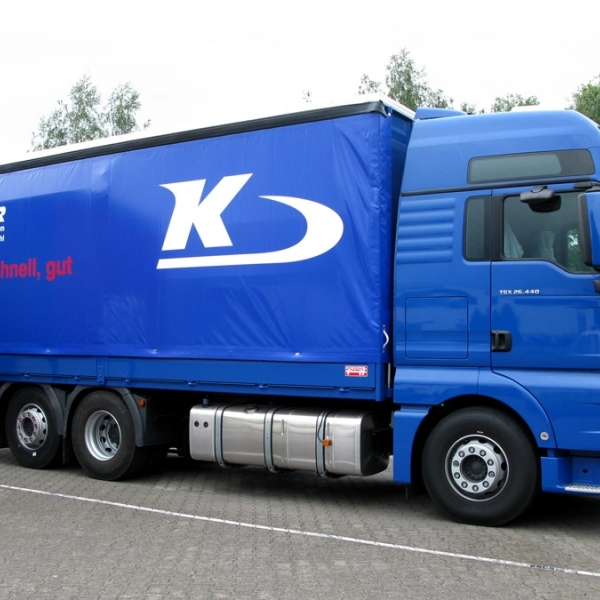 6-wheel gas-tube-trailer with 9, 10 or 12 containers. 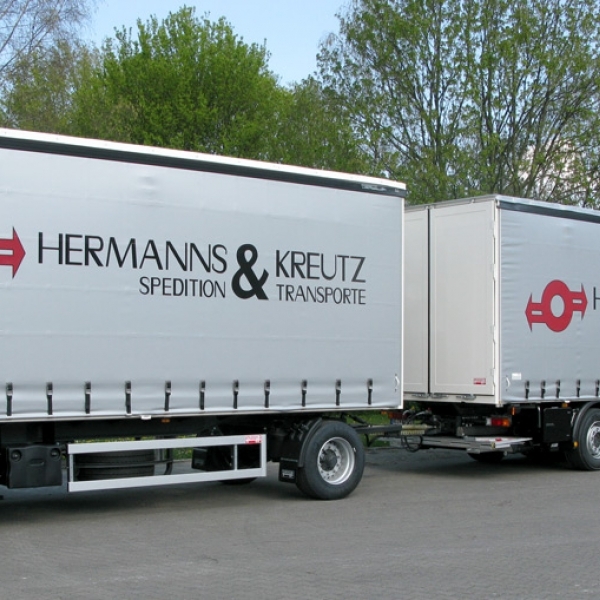 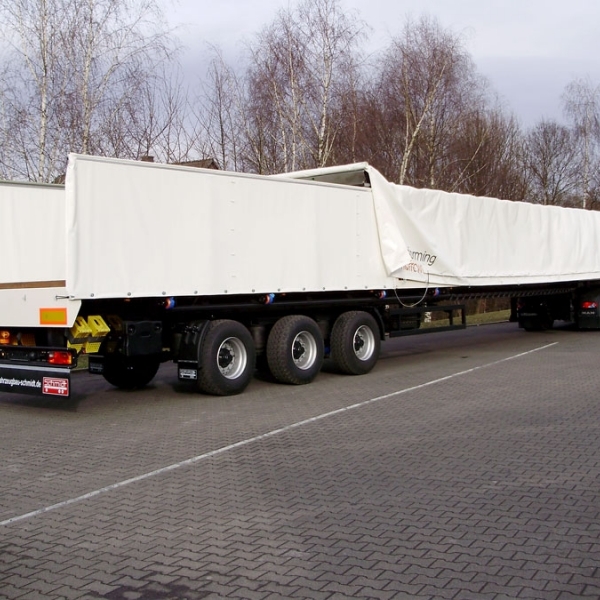 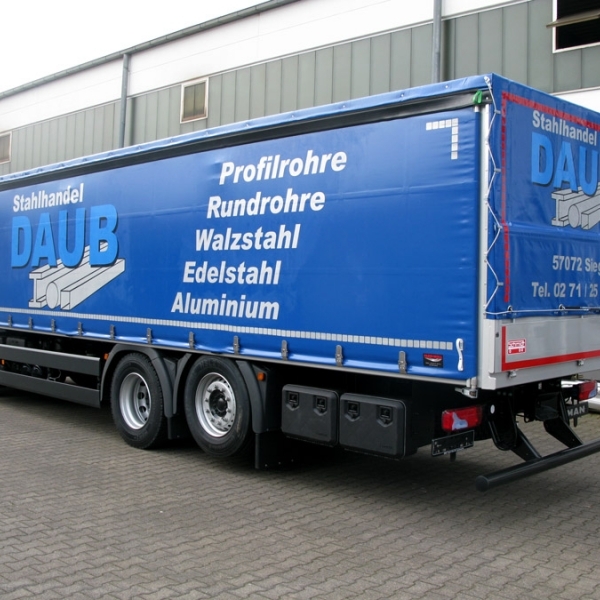 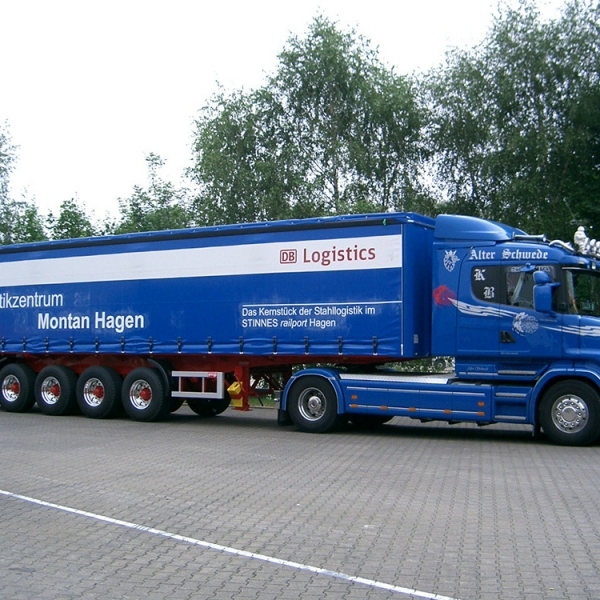 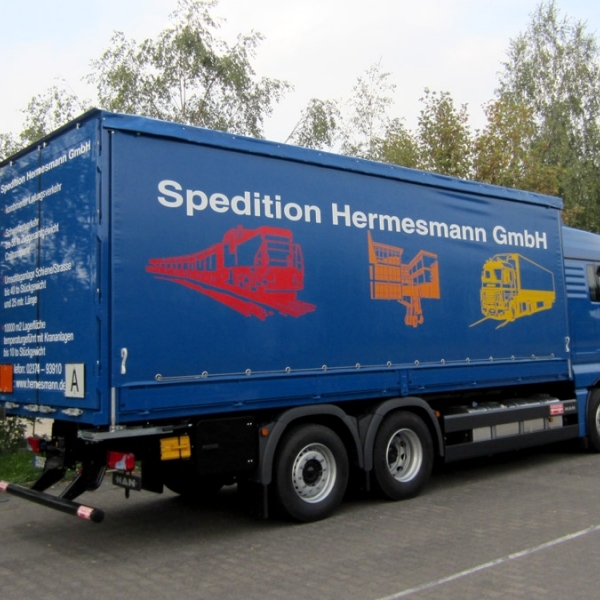 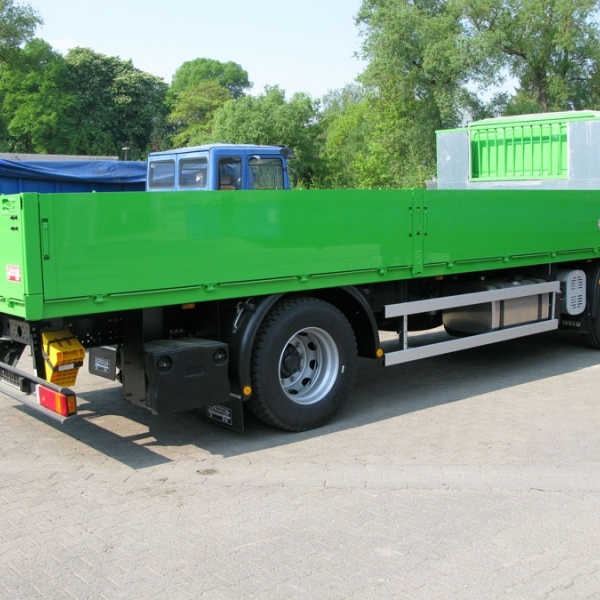 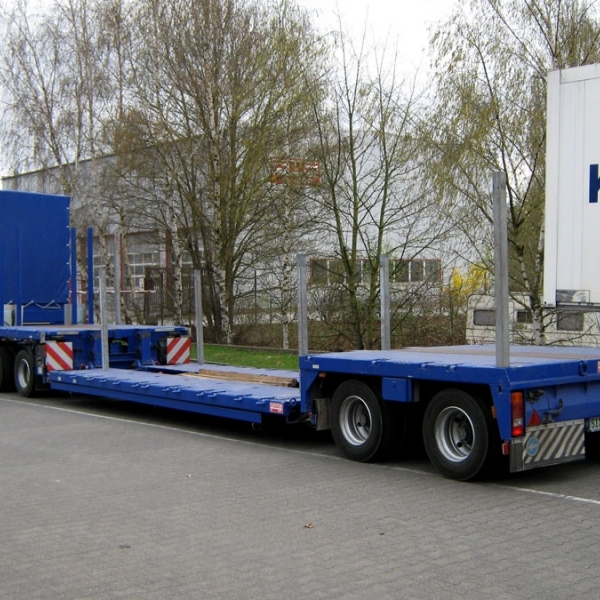 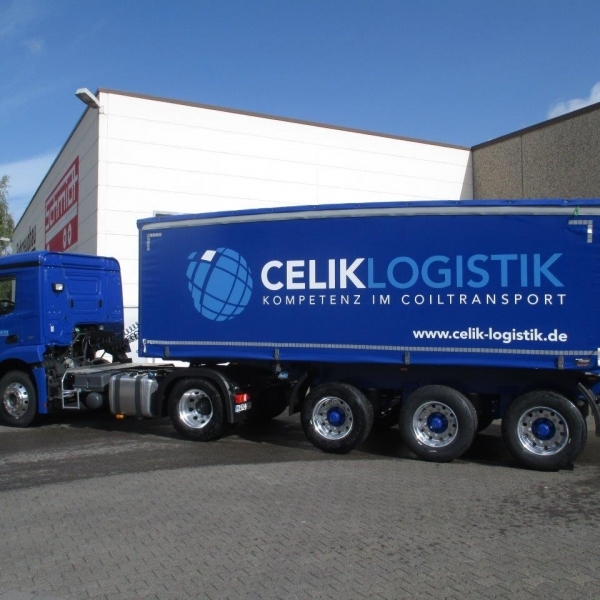 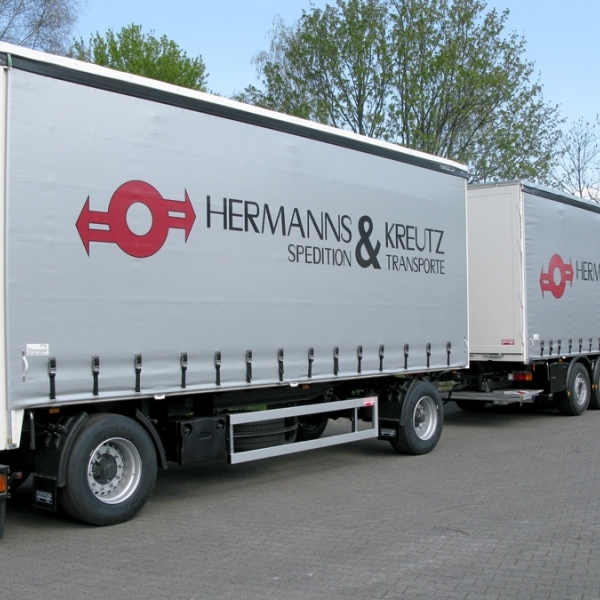 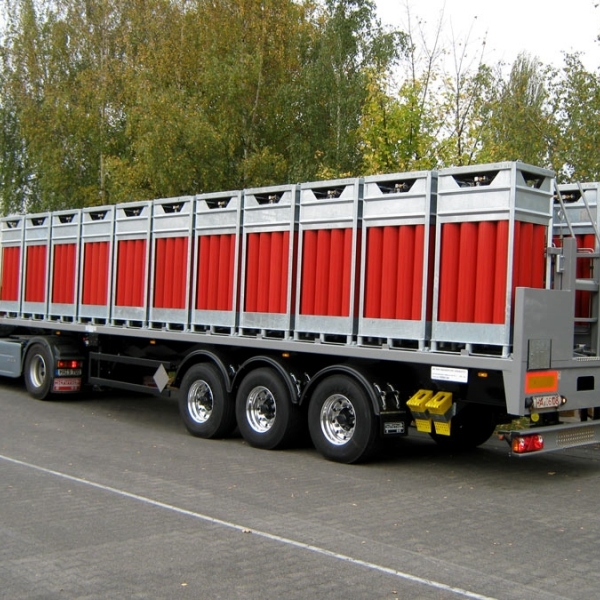 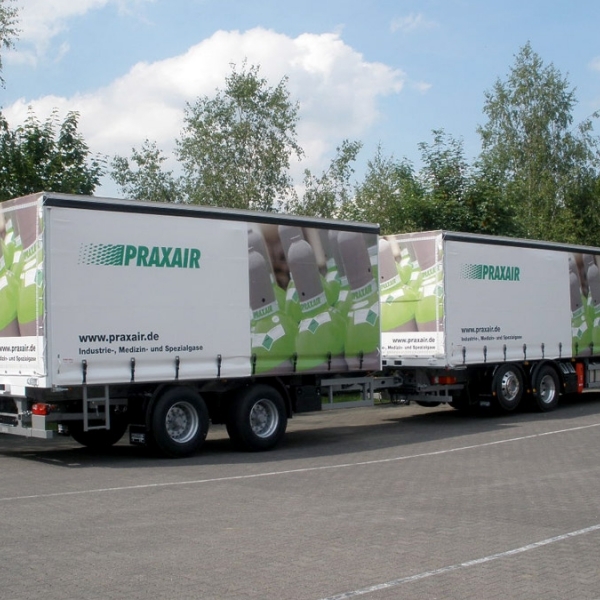 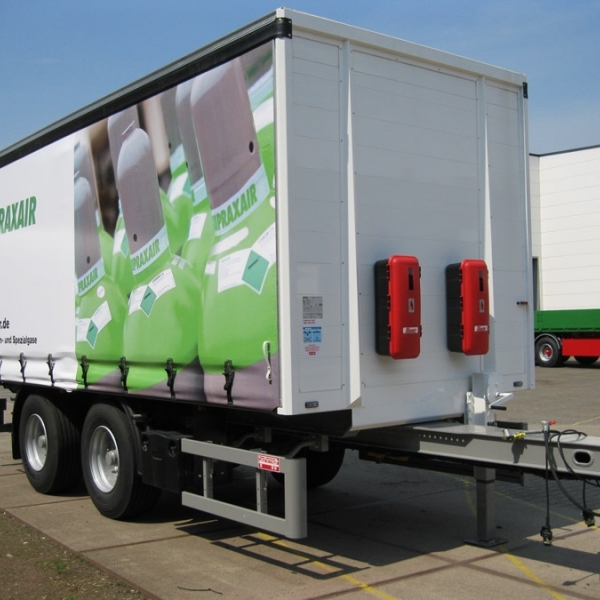 6-wheel special-trailer “system Zeibig” with up to 312 steel gas containers. 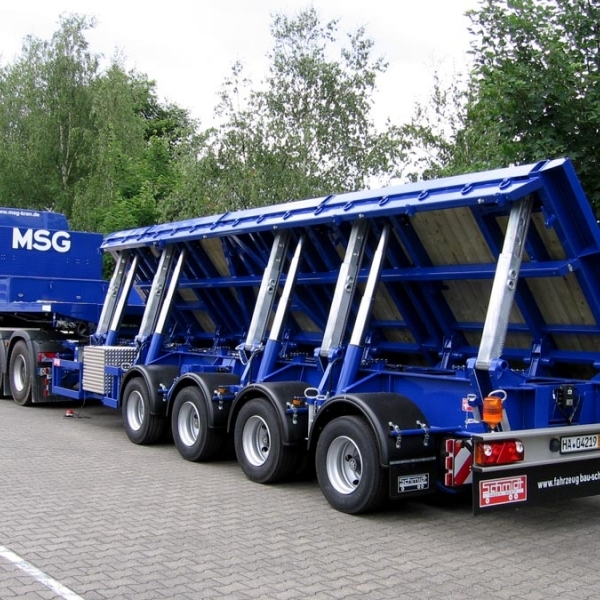 6-wheel special-trailer “system Zeibig” or in trellis bridge construction with up to 240 gas-composite-container. 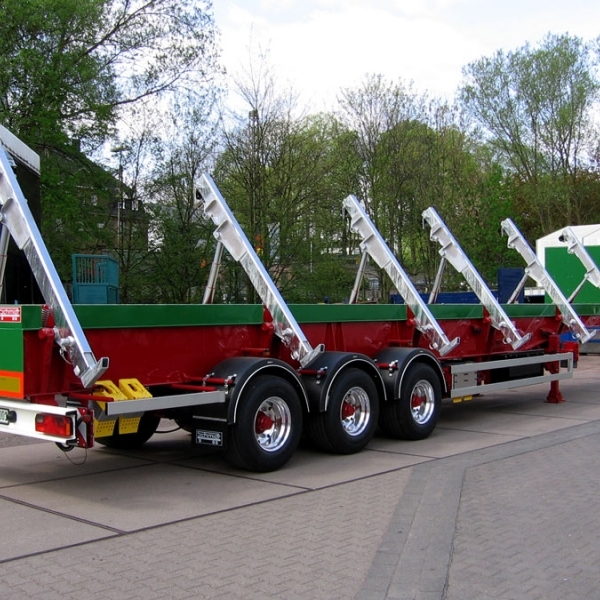 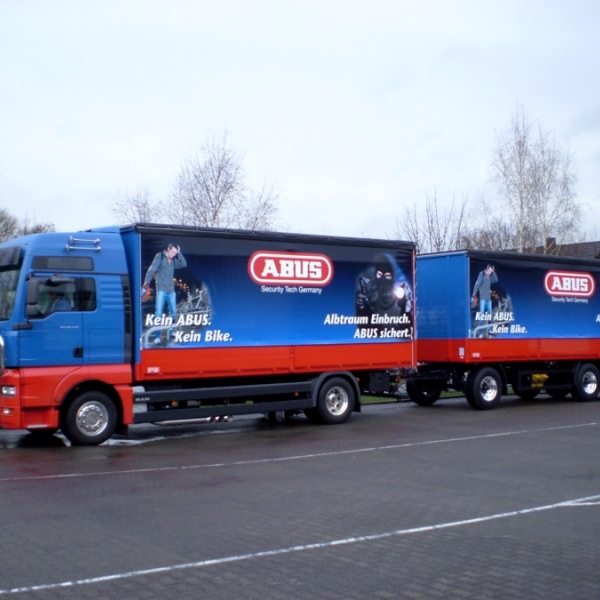 Trailers with shaft, tandem, and jumbo towing bars with and without box-body. 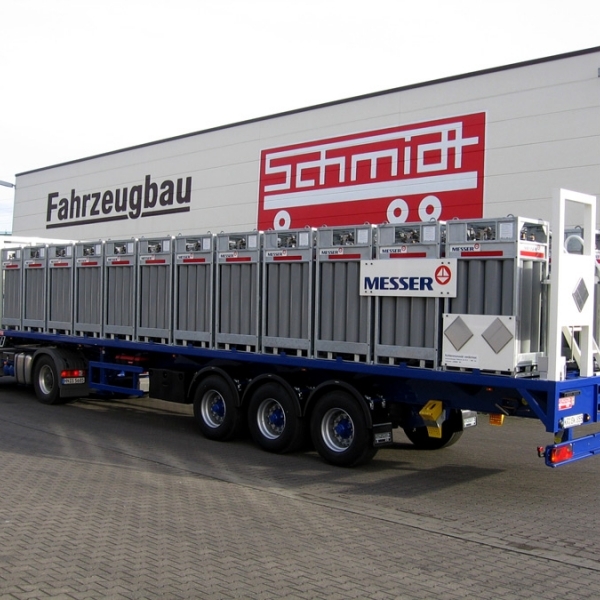 Trailers for the transport of containers. 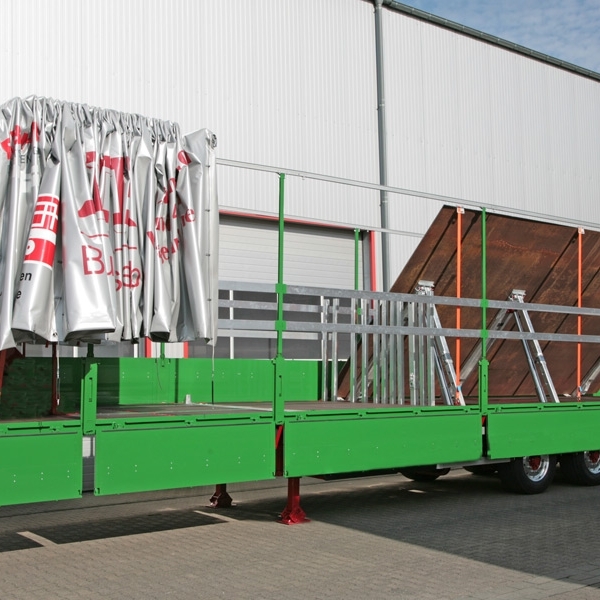 Pallet superstructure for all kind of lorries with canopy frame or as a flat-bed. Available with box-body and tailgate. 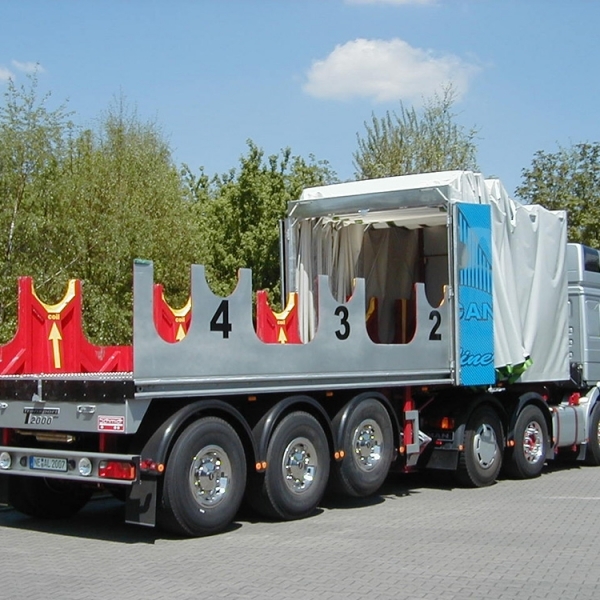 Further special vehicles on request.